Rear Light that uses 18650 batteries? I'd like to use my 18650 batteries in a rear light for my bike. This is because I already have them for another light and they are powerful. Can anyone recommend a light that accepts these types of batteries? It would be great if the light could do strobe. p.s. I come here after reading the article about the Missouri Cop that hit a cyclist because the cop was looking at his phone. The rider is alright but his bike didn't fair very well. If I used blinking lights in the daytime I think it could makes biking safer for me. Why use an odd size battery? Blinking lights don't always make you safer in bright sunshine. I have like 8 of them and need to put them to use. I've had great luck with them for night riding. Thanks VegasTriker. I appreciate the tips on lights and batteries. I wished I picked up the Panasonics. I went with Orbtronic but haven't been impressed by them. When I purchased my tactical flashlight to mount on my helmet the seller recommended the Panasonics. However, I had already purchased the Orbs so it was too late. The Orbtrionics are much more expensive too. There's always next time, though. "Industry produced about 660 million cylindrical lithium-ion cells in 2012; the 18650 size is by far the most popular for cylindrical cells." Break open a Dinotte battery pack and you will find 18650's. Open up a Tesla and you will find 18650's. When you buy from Orbtronics you are always going to be buying the best brand name batteries. Orbtronic doesn't make their own batteries. The only batteries they sell that have an "Orbtronic" label on it are the same brand name batteries only with a protection circuit provided by Orbtronic. You pay extra for the protection circuit, that is why they cost a bit more and why they put their label on the cell. My guess is you might already have Panasonics cells but didn't realize you bought protected cells. You have to read the product description if you are buying protected cells to make sure what brand name cell you are actually getting. Orbtronic sells many brand cells with their label on them. They sell many different very good brand name batteries. You just have to know what you are doing when you buy from their website. Thanks CMD. I purchased the Orbtronics 3500mAh when I bought a Zebralight XPH50 Mark IV Plus flashlight (2300lm) and wasn't getting the 1.8 hours (1hr 48minutes)as advertised and figured it must have been the batteries. So, I guess it is the light then but I'm not sure. Maybe if I Google search reviews again I'll find that others are having the same issue. The Zebralight runtimes on high assume the power is stepped down because of the heat, so you'll only get high for a short time (this is why H1 and H2 have similar runtimes but very different quoted outputs). On a bike you get a lot of cooling so it will run brighter for a shorter duration. To test the battery run it on the lowest high setting and compare the runtime (358lm for 5.1hrs as listed below for the SC600w). If you go to the Orbitronics website you will see that their 3400 mAh battery is made by Panasonic/NCR. It's the same battery I bought but with their added PCM at double the price. Panasonic builds a PCM into the batteries I bought. I wouldn't expect Panasonic to sell a protected battery that has a defective PCM. The PCM is there to limit the current drain, and protect from overvoltage and undervoltage. Some front bike lights specify non-protected batteries for their lights. If you don't run the light until it is dead but switch batteries when it gets dim, undervoltage is not a problem. A decent charger also has overcharge protection built into the charger. Zebralight is one of the brands that specifies UN-protected batteries for their lights, at least for several that I looked at. This one works with the 18650 powered battery packs that run the front lights. The OP specified a rear light that uses removable 18650 batteries so he can use the ones he already owns, not one hooked to a multi-18560 battery pack . I bought one of those front lights too, but not Magicshine brand and found it was brighter than I needed and had a fairly short runtime between recharges. It was a pain to deal with a separate battery and all of the wires. I will give Magicshine one thumbs up and that is for telling you upfront the capacity and source of the battery, something some of the more expensive brands refuse to reveal. The battery is wether removable than even 18650. The only model which qualifies as an answer to the TO is the Ituo Bolt, which unfortunately has been discontinued in 2017. 18650 might be the most common battery in the world, and it has an awsome capacity for both volume and weight. I wish it was the only battery commonly available. Do the CR2032 and LIR2032 batteries count as very short cylinders? Most people call them button batteries... honestly I think the manufacturing method is what counts here and buttons are manufactured differently. I had sworn long ago to buy only trusted brand 18650 batteries once I finish the cheap generic ones. Alas, I have yet to finish them! They turn out to have quite long life! (The reason I wanted to buy brand name is not for longer life, but for safety). 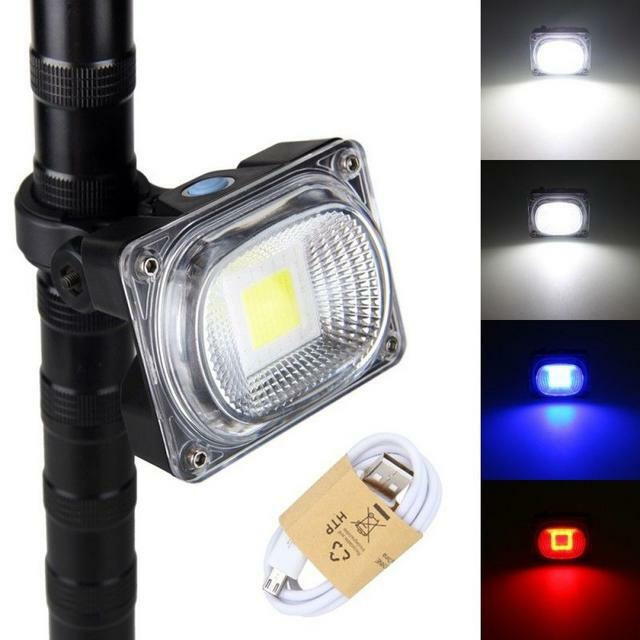 If we could find a way to turn white light into red (or pink or orange) light, then we could somehow fix a flashlight with 18650 battery to the back of the bike to use as taillight. I'm sure there is a way to mount it, but the main problem is to turn white light into red light. Now about your measured time with the cells you have; Don't fret over this too much. When judging run time a lot depends on how well the lamp is cooling as that will effect run time. If you your lamp was cooling well the thermal regulation circuit might have allowed your lamp to run brighter for a longer period, therefore using more of the battery. I think you're fine. Just an FYI, the Tesla Model 3 does not use 18650's they now use 21700 cells, as will all Telsa's eventually. Compared to 1.5 billion AA sold in the U.S. each year. Its similar in shape to a AA (which every store sells), but not compatible to one. That makes it odd. And it has 5 times the energy of a AA battery and is rechargeable. That makes it awesome.